The Northern Illinois University baseball team will hold its annual Leadoff Banquet at 4 p.m. Sunday, Feb. 10, at Acquaviva Winery in Maple Park. NIU Baseball will honor NIU Hall of Fame alumnus and former New York Yankee pitcher Fritz Peterson during the banquet. A silent auction will start at 4 p.m. when the doors open and dinner will be served at 5 p.m. Bidding for the silent auction will close at the end of the banquet. 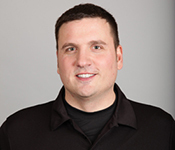 The keynote address will be given by NIU alumnus and current MLB umpire Dan Bellino, '00. Click here to buy tickets and event sponsorships!! !